The adjacent room has a small kitchen and a dining area. A few steps lead down to a shower room, and a few steps lead up to a mezzanine with a double bed. It is compact but well designed and feels a bit like being inside a boat. Outside, there is a kitchen counter with sink, charcoal BBQ and gas plancha, a living area with a table for 6, lounge seating, 2 lounge chairs and a large umbrella. There is an outdoor shower in the entrance and a large garden with fig and oak trees and vines growing along the fence. Looking out from the garden, we see vineyards and pine trees, with distant views of the sea beyond the trees. The beds suit adults but the compact layout suits best a couple with two children if rented independently from the main house. In Summer, you will be spending nearly all your time outside so it is really mainly a place where to cook and sleep. In July and August, we normally rent the Cabaña from Saturday to Saturday. At other times, it can be rented for any period. Arrival and departure times are usually around 4 and 6 pm, but there is flexibility depending on the day. The guests in the Cabaña do not have use of the pool, except on most Saturdays when there is a changeover, when all guests can use to pool. We cannot guarantee it, but try to make it possible. In any case, most people renting the cottage are happy just going to the beach. 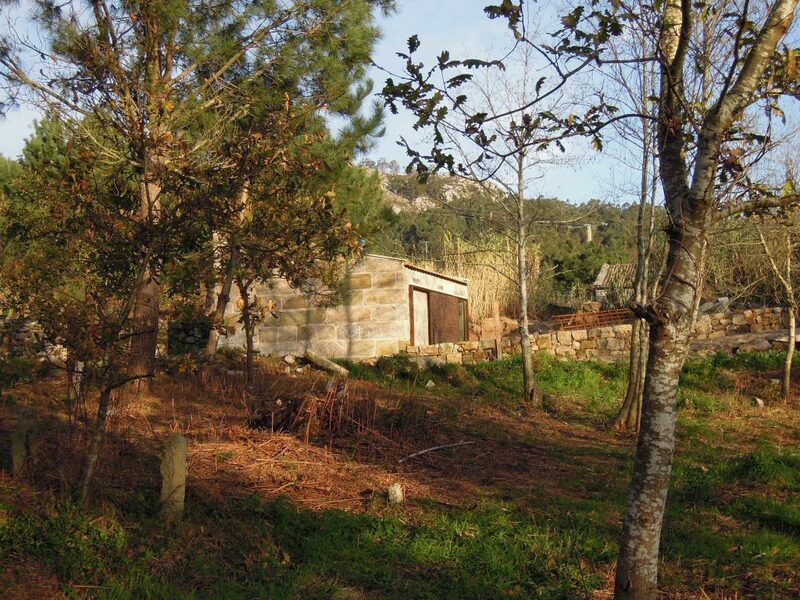 The stone walls of the Cabaña are not insulated but the wood stove gets the space warm enough in the winter. It makes a wonderfully cosy bolthole. Amenities: multi-function oven, fridge with small freezer, washing machine, wood stove. There is a Sonos speaker to play music from your electronic device. There is no television but there is good Wi-Fi. Sheets and bath and beach towels are provided. The access to the house is along a narrow dirt road used by no one else. We are not allowed to pave the road due to environmental reasons, so it can be bumpy depending on the time of year. Overall, due to the dirt roads around the house, it is not an ideal environment for a wheelchair user.